Open to any resident of Bensalem Township. Applicant must own and occupy as principle residence, a one-family home within the Township. Multi-family structures and rental units are not eligible. Income is defined as the combined gross annual income of all occupants of the dwelling unit. Potential recipients shall be required to prove annual income. Income shall be verified by income tax returns, pay check stubs or other means. Periods of temporary unemployment shall be excluded from the determination of normal annual income. Families with disposable assets in excess of $10,000 and elderly or handicapped personS with disposable assets of $20,000 OR MORE shall not be eligible for assistance. Assets such as stocks, bonds, cash and real estate shall be considered. The value of the primary residence and up to one automobile per driver shall be excluded from this provision. The Bensalem Township Office of Community Development, in conjunction with the Bucks County Re-Development Authority ,administers this program. For more information on eligibility, application and program specifics, please contact Bob White, Director, at 215-781-8711. The secretary of the U. S. Department of Housing and Urban Development has made Fair Housing a priority area. Bensalem Township promotes many fair housing activities. 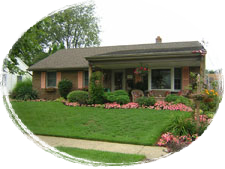 One activity the Township operates is its Housing Rehabilitation Program. If you own a home in Bensalem Township and meet certain income limits you may qualify under this program. For information, you may contact the Bucks County Redevelopment Authority at 215-781-8711.